Their pediatrician didn’t know what to recommend. Galactosemia, in whatever form, is rare enough in the US that most pediatricians don’t develop experience with it. There was no uniform standard of care, and state-level guidelines for children with Duarte galactosemia varied widely, from no dietary restrictions to banning all milk products for the first year. Some of the limited research available at the time suggested that affected children might experience developmental problems as they grew up. Newborn screening for galactosemia started in the 1960s in some states, but was not conducted in all states until 2004. Begun before the advent of gene sequencing technology, newborn screening for metabolic disorders like galactosemia is based on pricking a baby’s heel and testing for blood levels of small molecules and enzymes. Screening for galactosemia and other metabolic disorders is estimated to have saved thousands of lives – but it also reveals a group of babies who, like Caspary and Katz’s son, have an ambiguous status. Fridovich-Keil realized that a naturally-occuring experiment had been taking place across the country. In states where Duarte galactosemia was detected by newborn screening, healthcare providers had been making decisions based on their experience and opinions, and some had been telling their patients with Duarte galactosemia to avoid milk, while others had not. This led to confusion and anxiety among families as well as health care providers, especially as social media grew and enabled more families to find each other and compare stories. Would a build-up of galactose metabolites harm a child’s development? Some said yes, others said no. In the January 2019 issue of Pediatrics, Fridovich-Keil and her team of collaborators published the results of a study that resolved the puzzle. 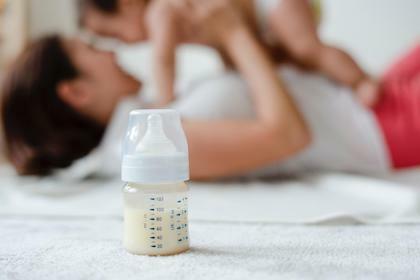 They found that children with Duarte galactosemia are at no greater risk of many long-term developmental abnormalities than their unaffected siblings, regardless of their exposure to milk as infants. To reach this milestone, Fridovich-Keil, a basic scientist by training, teamed up with clinicians, statisticians, and others at Emory and Washington State University. She enlisted newborn screening programs and metabolic clinics around the United States to help – carefully planning outreach and recruiting to avoid breaching family privacy. At the suggestion of colleague Claire Coles, the team applied for funding from the Patient-Centered Outcomes Research Institute (PCORI), created by the 2010 Affordable Care Act. Project manager Grace Carlock led a team of 4 testers on trips to 13 states where they conducted direct assessments on a total of 350 children between the ages of 6 and 12 years old. 206 of these children had Duarte galactosemia, while the other 144 were unaffected siblings who served collectively as controls. Surveying parents, the researchers found that 40 percent of the children with Duarte galactosemia in the study had consumed a substantial amount of dairy as babies, whereas 60 percent had not. The team tested all children for a wide range of developmental outcome measures in the domains of cognitive development, physical development, speech/language and hearing, motor development, and socioemotional development. Caspary and Katz participated in a Stakeholder Executive Committee that met regularly with the research team. While they managed through complicated feeding arrangements with their twins, Caspary and Katz also met with other parents, some of whose children had developmental delays the parents were sure were linked to Duarte galactosemia. The experience illustrated, for them, how real the concern and uncertainty was. At age 10, their son is healthy and bright. He still doesn’t like cheese or cow’s milk. “I always say that he has one crummy copy of the enzyme, which is just enough for him to be able to enjoy ice cream,” Caspary says. The end result of the large study – that dietary intervention is not required for infants with Duarte galactosemia — may not seem like a big deal. But consider how many parents didn’t have a world expert on the condition down the hall. McCandless points out that many other metabolic disorders also have milder variant forms that are sometimes picked up by newborn screening, leaving doctors unsure of what to do. The result of the recent study also reassures parents. To make sure families, and not just healthcare providers, can access accurate information about Duarte galactosemia, Fridovich-Keil and her team created a website (duartegalactosemia.org) and wrote a Wikipedia entry, both of which have been updated to include their new study results. In addition, Fridovich-Keil and a team of clinical colleagues are currently working with the American College of Medical Genetics to prepare a first Practice Guideline for Duarte Galactosemia. The goal, she says, is to empower both healthcare providers and families to make evidence-based decisions about Duarte galactosemia. Since her childhood, Judy has exhibited a rare ability to do anything, and that includes creating art works, by painting or sculpting,wood working, gardening etc.She excelles in basic scientific research and in clinical investigation and she is the kindest most helpful person anyone can hope to encounter. Oh did I mention that she has been a great mother and daughter.